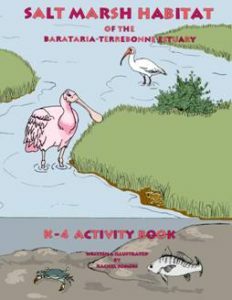 Activity booklets provide students with a more informal way to learn about the estuary. These fun booklets provide young people with extra ways to learn about the estuary. 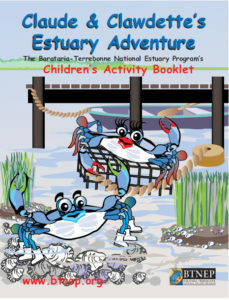 This fun activity book will teach children all about the Barataria-Terrebonne Estuary. A wonderful activity book written from Clawdette the Crab’s perspective. Follow Clawdette through the Estuary!